In this Mastering Pastel series Lyn shows how simply the dry pastel can be layered to build and blend into the colour, tone and texture that creates just the finish we want. Relax with this medium and create with ease. Lyn Mellady and Julie Goldspink are both artists willing to share the knowledge gained in a lifelong art journey..
Lyn is a trained teacher and the 'distinction' earned for her art subjects evolved into an art career exhibiting paintings in oil or pastel. 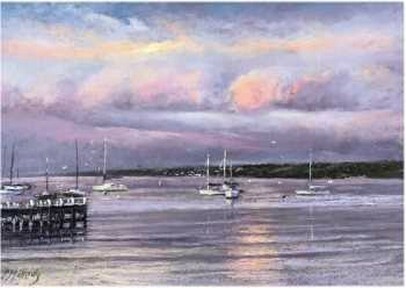 Julie has degrees in art and related subjects and has exhibited and run classes for many years. 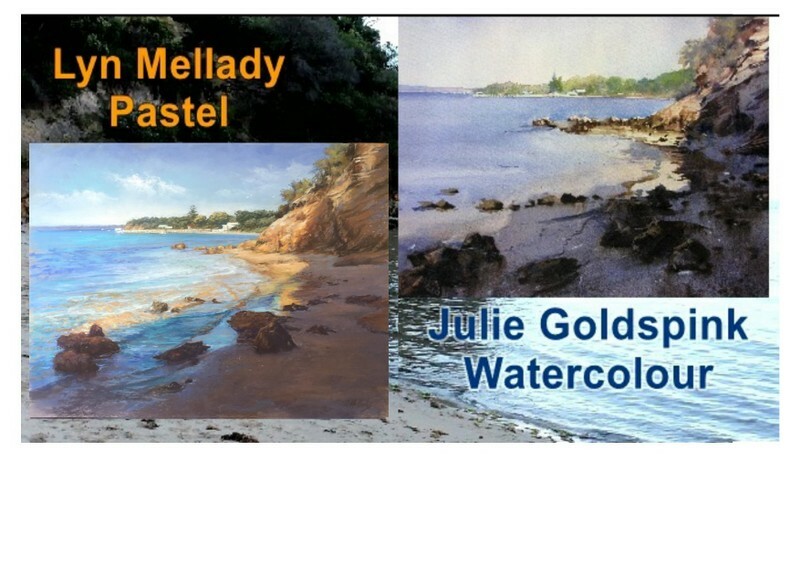 At Paint Down Under we know that it is the practical lessons from many years of painting prizewinning paintings, and teaching art students that make their teaching and demonstrations so useful to upcoming artists. Their DVD no.1 shows clearly that different mediums and different artists don't produce a carbon copy of a subject, even if they both use the same reference material gathered on a day out together on the Mornington Peninsula. This is the cornerstone of their series. Watching the two artists in their respective mediums we learn the basic path as well as the everpresent artists choice. Watch and work with the artists decisions as they paint. Their DVDs that demonstrate the whole painting process from composing their subject and the decision processes that separate the painting from simply a copy of their photographic reference. They allow you to see the whole picture:- thought, subject, drawing, colour choice and the application process chosen by the artist as it is applied to a specific painting. Workshop DVDs will take a technique or subject and explore a what is possible and what to avoid to open the doorway to your own mastery with painting. These are still in the making. Stay in touch for their release. Do you want to join their Art Tours? We are considering requests for a return to this wonderful venue. Two expert tutors, allow you to work in your prefered medium or change at will. You do not have to choose in advance. Both are there to help you gain the most from your travelling art holiday. Bring your watercolours or pastels or both, plus a travel sketch book and camera. You are ready for everything. You will be able to paint, sketch and photograph 'til you run out of light or simply watch the demonstrations and enjoy the company, food and holiday.